Jacuzzi Hotels NYC in room offer travelers a wonderful way to relax and connect after a long day of walking around NYC. Some are meant for intimate, romantic NYC vacations, staycations and weekend getaways, while others are offered in the public areas of hotels, along with spas, saunas, gyms and even swim up bars. Here are few of the top hotels with in room jacuzzis in NYC. The beautifully renovated Muse Hotel New York is a serene, stylish sanctuary, in the heart of Times Square, with top-notch service, exquisite amenities, luxurious comfort and space. "We upgraded to a spa suite that had a jacuzzi tub and a balcony. It was a great room! We checked in and there was a personal note from the manager along with a heart-shaped box of chocolates and a bottle of champagne on ice. Nice touch." "The room itself was fantastic – the jacuzzi-style two-person tub was brilliant to unwind in after a day of walking and sight-seeing. I’m not sure I can even call the balcony a balcony – it was huge!" Housed in a restored 19th century townhouse on the Upper West Side, offering four sumptuous suites. Stay in the Spa Suite and indulge in the ultimate-sized Jacuzzi facing a dramatic fireplace. Enjoy the sauna, the glass block enclosed shower and relax on the antique upholstered chaise lounge. Enter your luxurious bedroom where a king-sized bed on a raised oak platform is complimented by antique chestnut armories, a mirrored mantle and original wood shutters. A fully equipped galley kitchen with expansive granite counter top and bar, and an intimate dining area complete this sophisticated romantic suite. Alternatively, the Opera Suite has a baby grand piano, working fireplace, a stained glass ceiling and a quiet balcony overlooking the serene garden. The Hotel Metro, right next to the Empire State Building, offers deluxe guestrooms, an array of modern amenities and complimentary continental breakfast, WiFi, business center and newspapers. "…Greatly appreciated the upgrade to a large room on the penthouse floor (with jacuzzi) and I could see the Empire State Building from the window. " Make sure to ask for an "Executive Jacuzzi Room"
Inspired by luxury aircraft design, The YOTEL New York has "cabins" and not rooms (read: very compact and efficient), described as super comfortable, smartly designed adaptable spaces. 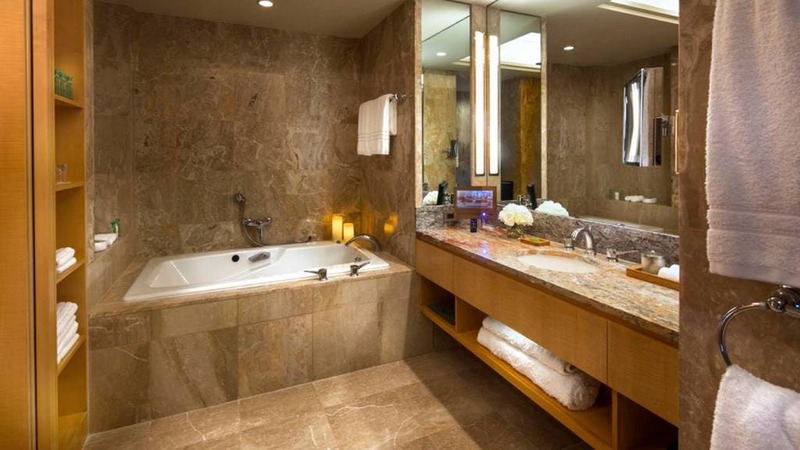 "…amenities consist of everything an uber elite hotel in the city should contain; Jacuzzis, mood lighting, power window shades, with a modern uber chic feel. Views of the city landscape are exuberant and pure with the yotel being located conveniently on manhattans Westside blocks away from midtown and times square." 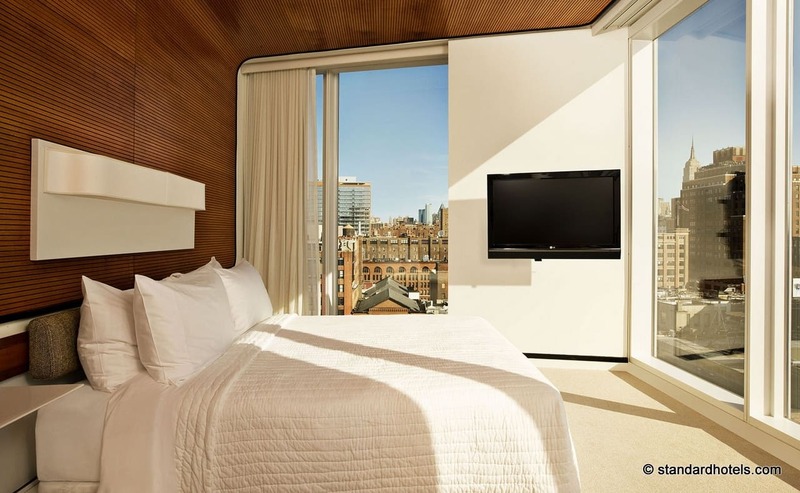 Steps from Penn Station, Madison Square Garden, the High Line and Empire State Building, Hotel Eventi wows guests with 292 guestrooms and suites, an outdoor Big Screen Plaza, a gadget-laden Business Bar, a soothing spa, and 20,000 square feet of indoor/outdoor meeting space. "The premiere suite has a king bed, separate living room and a spacious marble bathroom with double sinks,separate shower and ajacuzzi tub." 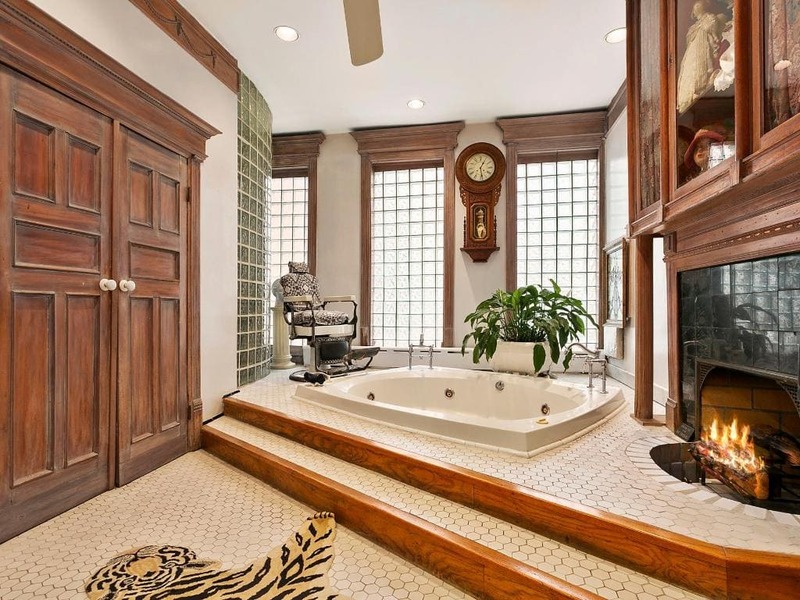 "The beds are so comfy, the bathroom (with jacuzzi!) was fantastic, and the view is unbeatable." "…wife walked in the room there were flower petals on the floor leading to the bed, on the bed was a Big heart made of rose petals. Also, the jacuzzi had roses petals and a bottle of champagne. All this was hotel courtesy, there was no charge"
Ask for a specialty suite with jacuzzi tub. One suite even has a pool table! A historic landmark on Madison Avenue, Lotte New York Palace has long reigned as one of New York City’s most iconic and instantly recognizable hotels, featured countless times on the screens large and small. 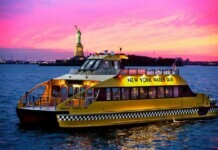 "Best location, beautiful view, elegant surroundings, great jazz bar, excellent food." One and two-bedroom Manhattan Suites rise above the city and provide some of the finest views on Billionaire’s Row in Midtown East. 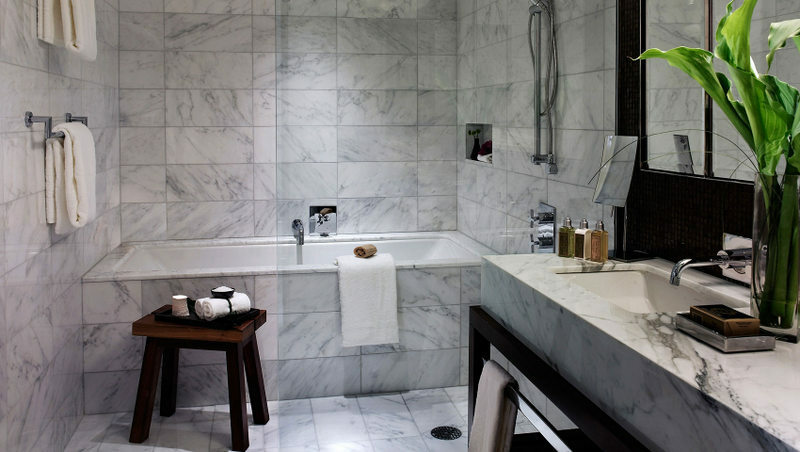 Everything about the rooms is meticulously appointed, including the Breccia Oniciata marble bathroom, deep soaking Jacuizzi tub that fills in 2 minutes and separate glass-enclosed shower. The GuestHouse at Dream Downtown, their luxurious duplex penthouse, offers two-stories, 2,500 sq. 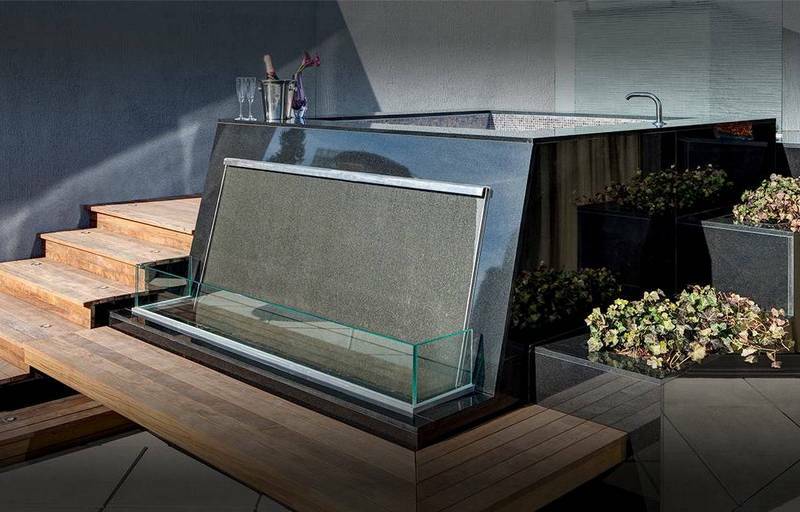 ft. suite, a spacious garden terrace, glass-bottom Jacuzzi, a Savant home automation system and even more. And, by the way, if you are booking this luxury suite, feel free to invite me over!!!! Update 2018, the Jacuzzi area has been closed. Named of the “Top 10 Most Beautiful Hotel Gardens in the World,” by Fodor’s, The OUT Hotel boasts three dynamic OUTdoor spaces perfect for hanging OUT, laying OUT or chilling OUT. The abundant OUTdoor space is complimented by a beautiful Spa and Spa Atrium which features a two- story waterfall, plush cabanas and hot tubs with majestic skyward views. "The pool/jacuzzi area is also beautiful. It’s like a big deck in a greenhouse. You can enjoy it in the dead of winter, so that was a nice surprise." "…2 jacuzzis, huge steam room and large sauna to make sure you wrap your day in the most luxurious and relaxing way possible!" "…the huge, muscular, greased male disco jacuzzi party was a bit noisy one or two nights and went on a bit too long so sleep was disrupted, but in the heart of NYC in small, gay orientated hotel, you just need to be ready for that..!" Note: The jacuzzi is public, not in room.